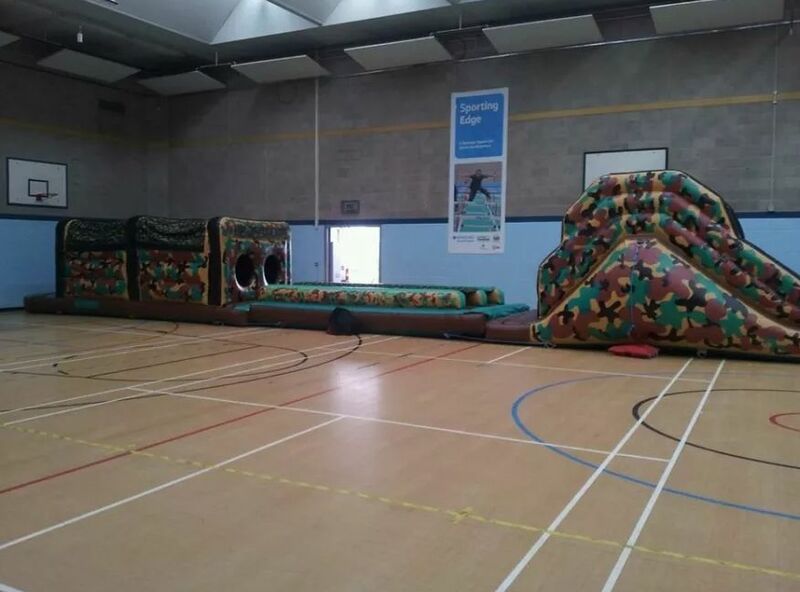 75 Feet Long Army Themed Assault Course. Includes up and over slide and tunnel. This unit is suitable for indoor and outdoor use but is weather dependent due to it not having a cover.